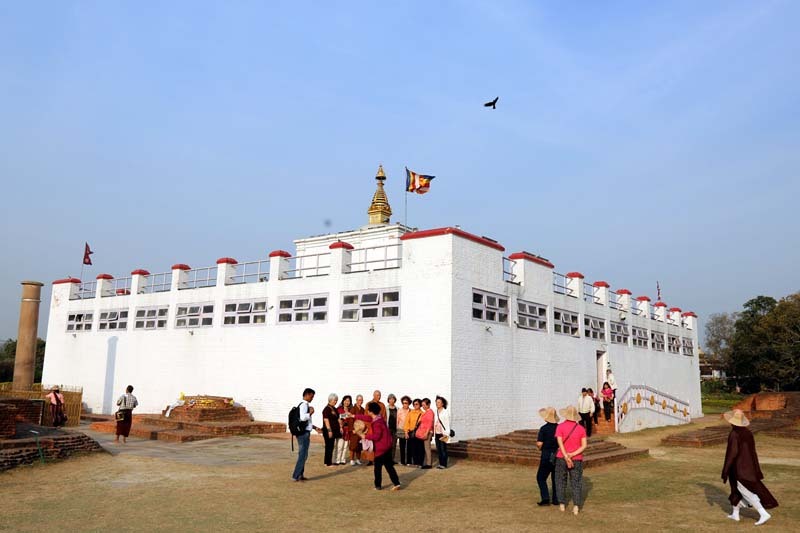 Kathmandu, July 30: The Lumbini Development Trust (LDT) has decided to start charging a conservation fee to Nepali citizens to visit the birthplace of Buddha, Lumbini. The trust has announced a charge of Rs. 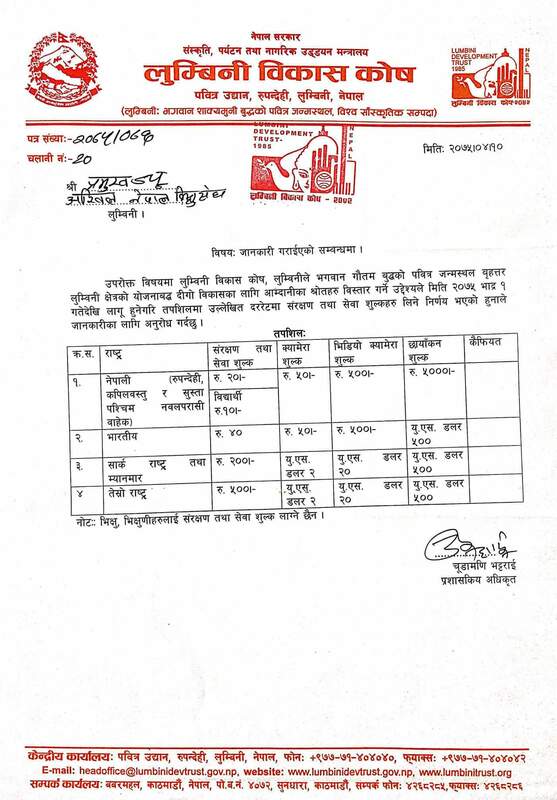 20 per person as Greater Lumbini Conservation and Service Fee to Nepali citizens, to come into effect from August 17. "This is not an entrance fee, but rather a conservation fee that will be invested on the Lumbini area only. The amount is just for the development and conservation of Greater Lumbini project," said Gyanin Rai, an official of the LDT. The trust had previously been charging fees from foreign tourists only. While students have been allowed a 50% discount in the initial fees, the trust has imposed an additional Rs. 50 to carry a camera and Rs. 500 to carry a video camera inside the area. There is a further charge of Rs. 5,000 for video shooting inside the Lumbini area. Locals from Rupandehi, Kapilvastu and western parts of Nawalparasi are not obliged to pay conservation fee to visit Lumbini area. "Locals from these three areas have to bring their identification card for free visit to Lumbini," Rai said. Indian tourists will now have to pay Rs. 40 as conservation fee, and tourists from Myanmar and the rest of the SAARC countries and will have to pay Rs 200. Tourists from other countries have to pay Rs 500. At the same time, Rs 50 for camera, Rs 500 for video camera and Rs 55,000 for video shooting will be charged to Indian tourists.